The Public Opinion, Learning, and Sentiment Lab (POLS-Lab) offers resources to scholars at UNC-Charlotte interested in running experiments or focus groups in the area of communications, public policy, public opinion, political or economic behavior, social psychology, and public administration. The lab welcomes participation from faculty, graduate, and undergraduate researchers in a variety of fields. POLS-LAB is more than a place – it is a collection resources for running experimental studies either in our on-campus lab or online. 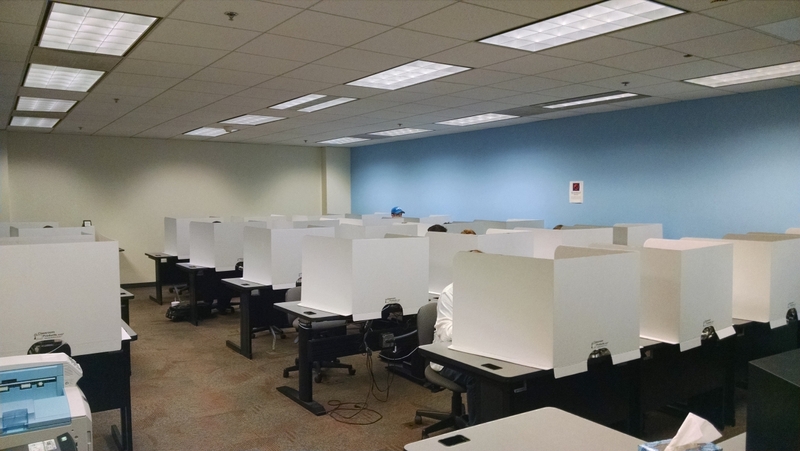 Lab-based studies are conducted in Fretwell 421, a computer lab with 22 stations with internet access, screen capture software, and headphones. Ten of the 22 stations can be equipped with video cameras for recording subjects during experiments. POLS-LAB also has a system available for remote viewing and recording of focus groups and group-based experiments. Please contact pols-experiments@uncc.edu for room availability. 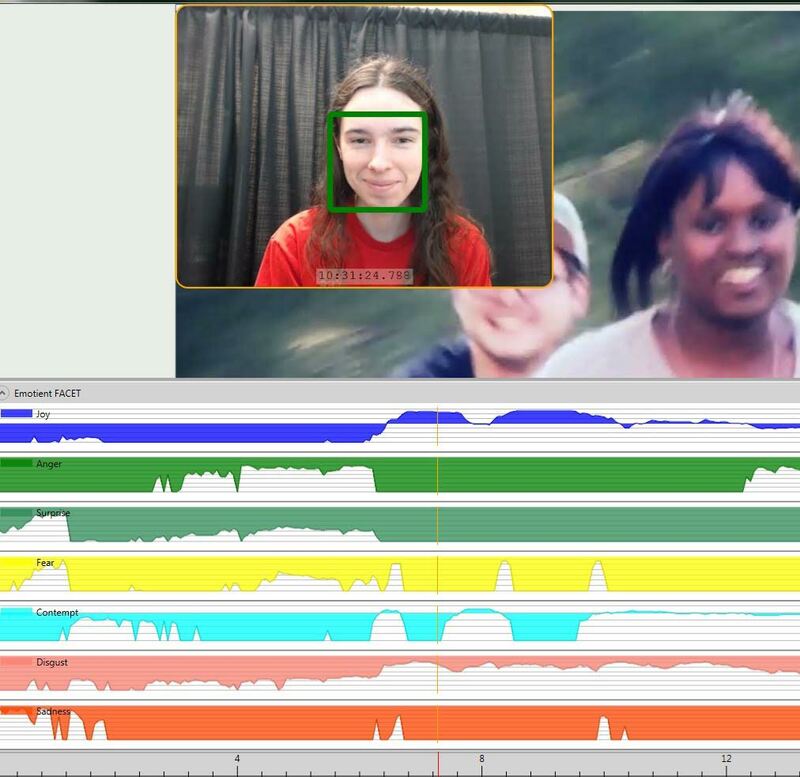 POLS-LAB also maintains a biometric station equipped with galvanic skin response sensors and software that automatically codes facial actions to measure emotion through facial movement. This station can be used for live data collection or for post-processing existing video.Most subjects for our studies are drawn from our student subject pool which we manage through SONA Systems. We also draw upon specialized, non-student subject pools as needed for specific studies. If you are interested in learning more about POLS-LAB or running an experiment through POLS-LAB, please contact Dr. Cherie Maestas, cmaestas@uncc.edu. Most subjects for our studies are drawn from our student subject pool which we manage through SONA Systems. We also draw upon specialized, non-student subject pools as needed for specific studies. If you are interested in learning more about POLS-LAB or running an experiment through POLS-LAB, please contact Dr. Cherie Maestas, cmaestas@uncc.edu. Become a Subject, Earn Gift Cards or Extra Credit! Quality subjects are essential to the success of experiments in POLS-LAB. If you are interested in becoming a subject, please sign up through SONA to become part of the subject pool! You’ll receive emails alerting you when new studies are posted. For some studies you may earn a gift card for your participation. For others, you might earn extra credit for a class. When you enroll, the system will ask you to specify a course in which you are enrolled. If you do not see one of your courses in the list when you sign up, just select “NO COURSE LISTED” as your course. If you selected a listed course, the credits you receive will be reported to your instructor for you to earn extra credit. Instructors: Please consider giving students extra credit for participating in POLS-LAB experiments. We run several short studies each semester that use students from UNCC as subjects. The studies are usually run during the last half of the semester and students may participate in more than one study. If you make this option available to your class, we will set up your class in our subject pool system to track your students’ participation and send you a report at the end of the semester listing the study credits your students have completed. Students who do not wish to participate in experiments are given an option of writing a short report on journal article that uses an experiment for credit. Please contact us at pols-experiments@uncc.edu if you are interested in setting up an extra credit option for your class.